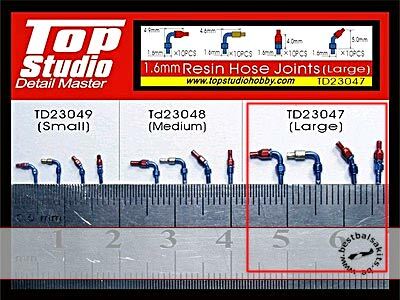 Up for offer is this RESIN A/N AN FITTINGS HOSE JOINTS LARGE set to use on all your Tamiya Hasegawa Fujumi cars & bikes in 1/8 to 1/18 scale. 4 different types, 10 pc each. Items come unpainted! !